Consider joining the FSU Utilities, Engineering Services and Maintenance teams to gain valuable experience in facilities operations. Job opportunities may be found in the areas of Engineering (electrical, mechanical, industrial), Maintenance, Resource Management, Energy Management, Controls and Communications. The duration of the appointment is based on project needs and typically lasts 3-12 months. Candidates are expected to commit up to 20 hours a week. 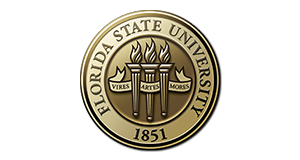 View FSU job opportunities here. Thank you for considering FSU Facilities! Utilities and Engineering Services Group mission is to provide utility services to support the entire University Community. These services include steam, chilled water, electricity, domestic water, sanitary sewer, and natural gas. In addition, we also lead campus energy reduction initiatives. Facilities Operation and Maintenance is responsible for the care, safety, and security of physical assets and the condition of buildings and building systems in order to provide a suitable internal environment and cost effective building systems operation for the University.